Tibet House US has announced that the 12th Annual Benefit Auction, in conjunction with renowned auction house Christie’s, will take place on Wednesday, December 10, 2014. Proceeds from the auction will benefit the Tibet House US and The Tibetan Community of New York and New Jersey. 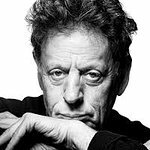 This year’s Honorary Chair Committee includes Philip Glass, Donna Karan, Petra Nemcova, Yoko Ono Lennon, Sandra and Eric Ripert, Martin Scorsese, Trudie Styler and Sting, Uma Thurman, Jann Wenner, Arden Wohl, and Dustin Yellin. Charitybuzz will return as the event’s online auction partner. The Tibet House US auction will be live on Charitybuzz from November 20, 2014, to December 11, 2014, at www.charitybuzz.com/TibetHouse. Rare Items & Opportunities: A personal voicemail recording from Hugh Jackman; an at-home reception for 20 guests prepared by world-renowned chef Eric Ripert and a personal performance by Philip Glass; dine with Robert and Uma Thurman at the Four Seasons Restaurant; a signed guitar by Sting; a behind-the-scenes look at New York Fashion Week with supermodel Petra Nemcova; a once-in-a-lifetime, two-week internship with Rolling Stone, Us Weekly or Men’s Journal; dinner with Food Critic Adam Platt; two VIP tickets to Bonnaroo Music & Arts Festival. Fashion, Home & Health: jewelry courtesy of Paula Crevoshay, Pamela Huizenga, Mallary Marks, Me&Ro, Margo Morrison, Jill Platner, Reinstein/Ross; an exclusive three-hour consultation from Clodagh Design; a luxurious Alina silk and cashmere throw from Sferra Linens. Established in 1987 under the auspices of His Holiness the Dalai Lama, Tibet House US is a non-profit educational institution and cultural embassy working to preserve, restore and present Tibet’s unique cultural and spiritual heritage by means of a permanent cultural center, with gallery, library, and archives, and developing traveling exhibitions, print publications and media productions. Additionally they seek to share with the world Tibet’s practical systems of spiritual philosophy and mind sciences, and its arts of human development, intercultural dialogues, nonviolence, and peacemaking, by means of innovative programs in cooperation with educational and other cultural institutions. Their New York City center is comprised of 7,000 square feet including gallery space, Tibetan Buddhist shrine, photographic archives, a lending library of over 1,000 volumes, and staff offices. In keeping with their mission as a cultural embassy, Tibet House US develops and presents innovative educational and cultural programs for the general public. It serves as a central meeting place for the local Tibetan community to hold programs and events. For extensive information on the Tibet House US please visit www.tibethouse.us.